The gala ceremony was attended by special guests including students, alumni, parents and staff. Ben Smith of the 401 Challenge gave an inspiring speech explaining how running turned his life around after years of depression, school bullying and suffering a stroke at the age of 29. He encouraged students to dream big and fight for what they believed. Ben is the only man in the World to have run 401 marathons in 401 days across Britain, from Land's End to John O Groats, raising thousands for charity. He ran with more than 9,500 people, inspiring 1,600 to run further than they ever had before - more than 600 completing their first ever marathon or ultra-marathon. Ben and his team raised more than £330,000 for two anti-bullying charities, Kidscape and Stonewall and increased awareness of the issues regarding bullying with over 100 schools visited during the challenge. Ben presented student winners with their awards and a certificate alongside principal, David Byrne. 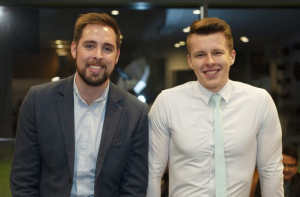 Student winners on the night included 20 year old business student Adam Basinski from High Barnet. Adam won the award as he excelled at every challenge he faced, not only winning the Kickers Challenge and Big Idea competitions, but he also promoted a positive face for the College to external partners. His tutors enthused that academically he’s a brilliant student, achieving Distinction Star grades throughout his BTEC levels and his hard work paid off as he’s now studying Law at Birmingham University. Adam said: “I’m so glad my determination paid off and it has been recognised by the College with this fantastic award. I’m the only one that was nominated from my class and won an award from my year, and I feel really happy. I’m having a great time at Birmingham University, I really wanted to do law, rather than business as it’s a different path for me and I covered a lot of business during my BTEC level 3. Other winners on the night included the Royal Air Force Museum, who was the winner of the community partner award. The RAF Museum in Hendon partnered with the College to develop a weekly ESOL conversation café for Syrian refugees. This has been well-attended, and has provided a vital hub for meeting new people and learning English. Committed volunteers included those from the RAF Museum, the College Young ESOL and CELTA students and Time Bank support learning. As part of the conversation cafes, the College developed online and visitor resources for residents with ESOL needs as an innovative method of reaching the wider community to encourage museum participation. The impact has already shown more visitors requesting the resources to use around the Museum and the Chair of the London Museums Network regards the partnership as excellent practice. 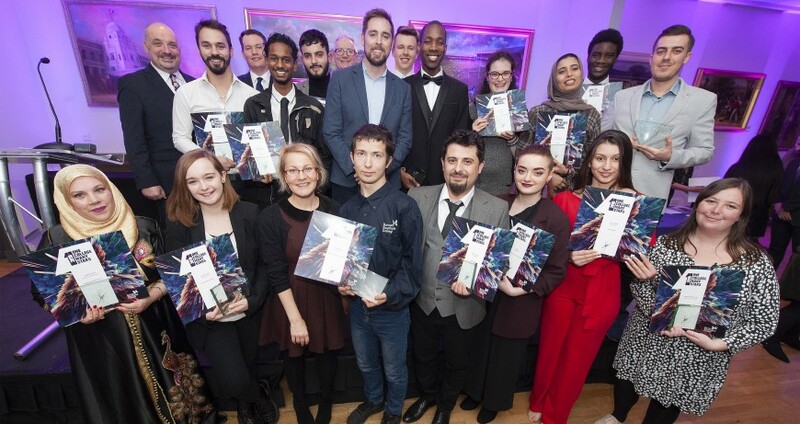 The Barnet and Southgate College Student Achievement Awards 2018 were sponsored by Ascentis.